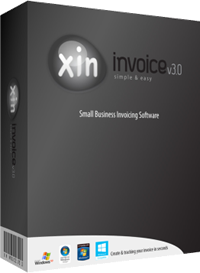 page 3 will have the rest of the details to complete the invoice or quote which is good then page 4 will be blank no good, at the bottom of each page is 1 of 4 ,2 of 4, 3 of 4 and 4of 4.but should read 2 of 2 only. 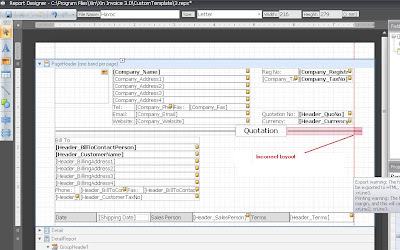 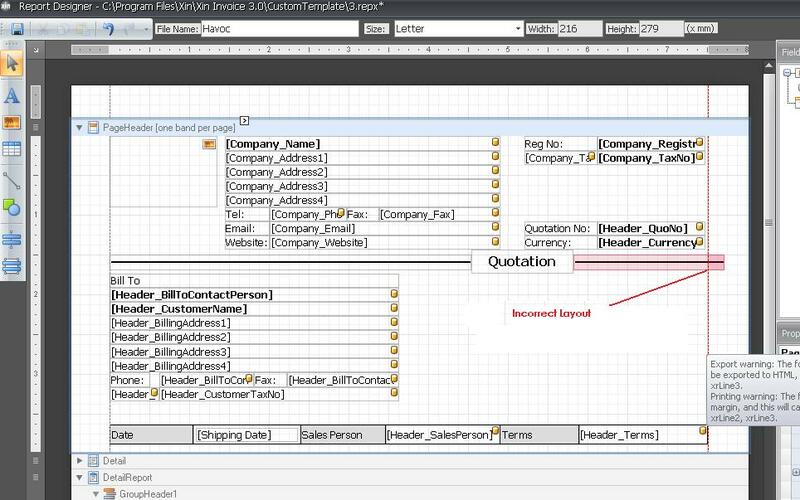 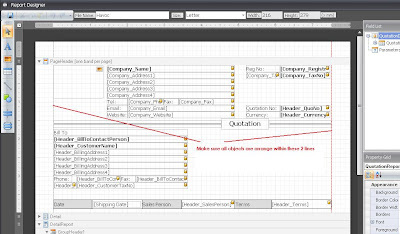 It is due to your object in report designer is not arranged correctly in the Report Designer. 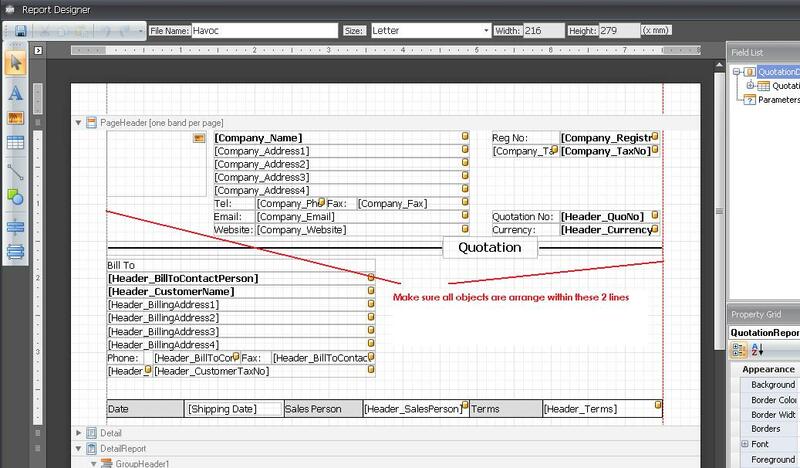 Please make sure all objects are arrange within the 2 vertical lines in the Report Designer.